Determining who is legally the parent of a child provides many benefits to the child as well as establishes a relationship between the parent and the child. However, when paternity (also referred to as parentage) is unclear, it is important to involve an experienced attorney who can help you navigate the legal landscape. An attorney can help establish paternity of your child; assist you in contesting a claim that you are the parent of a child; or provide guidance when changing legal paternity of a child where appropriate within a limited window of to contest a filing. At The Gasper Law Group, we understand paternity can be a complicated issue. Our family law attorneys are knowledgeable about current laws regarding parentage and are skilled at providing legal representation both for parents seeking to establish parentage of a child or contest a petition to establish paternity. If you have questions or wish to seek help, contact our attorneys for a FREE consultation. Paternity in general is defined as establishing who the parents are of a child. Establishing paternity falls under the Uniform Parentage Act (UPA) which governs how paternity law for both married and unmarried couples is managed. The most recent revision to the act occurred in 2002 at the time of this writing, and it is often cited in determining guidelines states set for their paternity laws. Colorado’s paternity laws consider all interested parties as having an equal stake in a child’s parentage, and it is worth noting that presumptions of parentage under Colorado law are gender neutral, meaning maternity is not always assumed when a woman births a child. Not all states have gender neutral parentage laws, but Colorado has progressed forward in this language for its laws. Biological parent – Under Colorado law, parentage is presumed if the parent has a biological connection to the child. Married to the mother – Being legally married to the mother of the child can be considered a presumption of parentage. Signing the birth certificate – If a parent has signed the child’s birth certificate, they are legally considered the parent under Colorado law. Holding out the child as their own – If the parent is publicly claiming the child as their progeny, then parentage can be assumed. Providing legal means to establish child support – If there is not a child support order in place, determining parentage can be one part of beginning the legal process where the parent with custody receives child support from the parent. If child support is in dispute, such as in the course of the divorce process or because the parent does not believe the child is biologically related to them, then establishing paternity may be necessary. Providing legal means to establish visitation with the child – When parentage is established, the parent may decide they want to be more involved with their child. Both parents will need to establish some type of visitation schedule to make this possible. Enrolling the child in DEERS – If a parent is a member of the military, paternity can provide the means to give the child access to the Defense Enrollment Eligibility Reporting System (DEERS) and enroll them in Tricare. This may be especially important if the child has no other means to receive health insurance from their other parent. Providing the child access to the parents Social Security disability benefits – If a parent is a member of the military or a veteran, establishing paternity can give the child access to benefits as a result of the parent’s disability. Establishing tax implications for the parent – Following the establishment of parentage, a parent might be able to claim the child on their taxes or take advantage of other credits relating to childcare they might not previously have been able to do because they were not legally the child’s parent. In Colorado, a DNA test is not required to determine paternity, but it might be requested. Sometimes there is not reason to prove or disprove parentage, as noted in the above presumptions of paternity examples. The cost of a DNA test in Colorado varies and is subject to change, but at the time of this writing averaged about $750. If parentage was not previously established—meaning there has not been a case where the child’s paternity was determined—then there is no statute of limitations, meaning a parent could seek to established paternity when the child is any age. However, if paternity was previously established, there is a limited window of time in which the finding can be contested. Because the laws change frequently, it is important to contact an experienced paternity attorney to find out if you are able to contest paternity. Another important note to remember before your consult is to ensure you tell the attorney if a previous case in another state determined paternity, as that will factor into what kind of assistance an attorney can provide you if paternity is a topic of discussion in your family law case in this state. 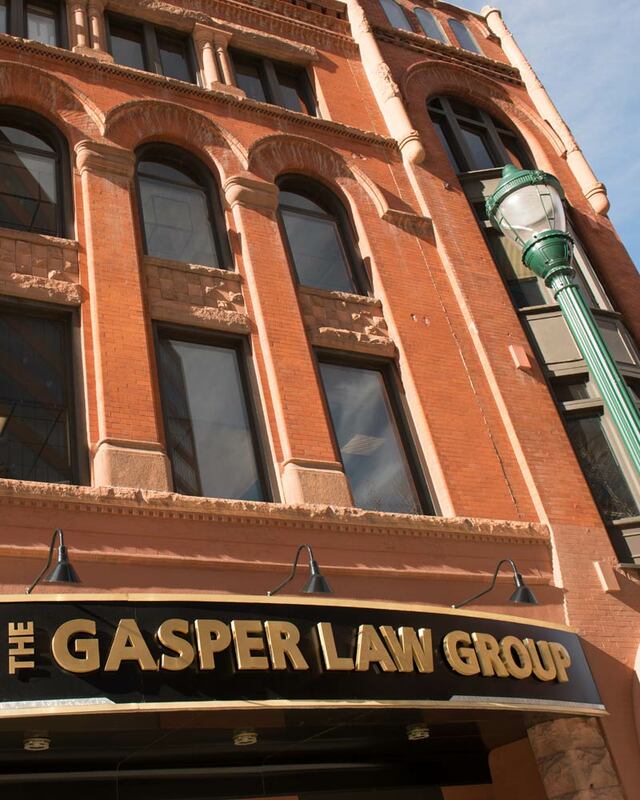 For help with a paternity case in Colorado Springs and the surrounding areas, contact The Gasper Law Group today to speak to one of our attorneys!